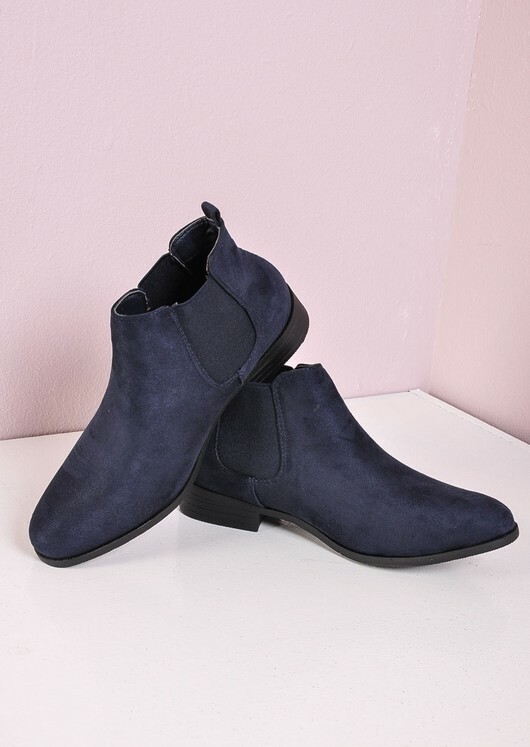 If there is any band wagon we love to jump on it's the Chelsea one. 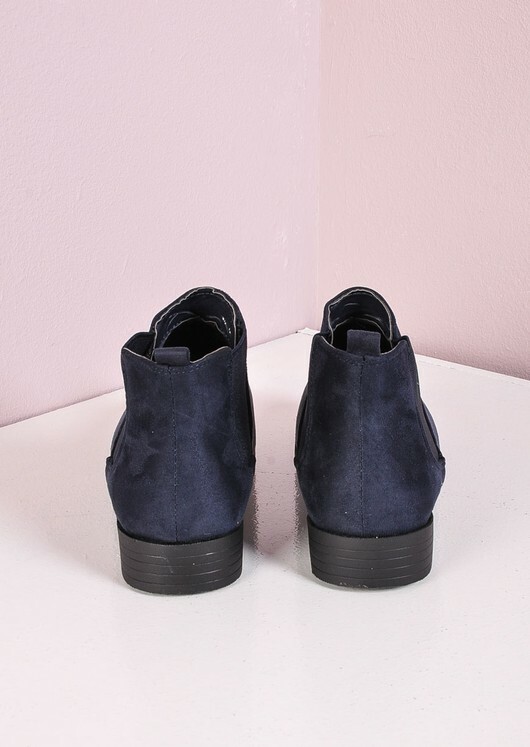 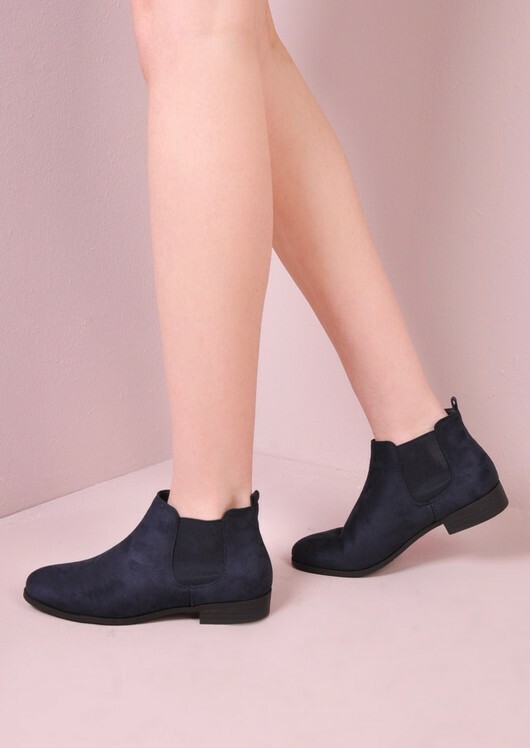 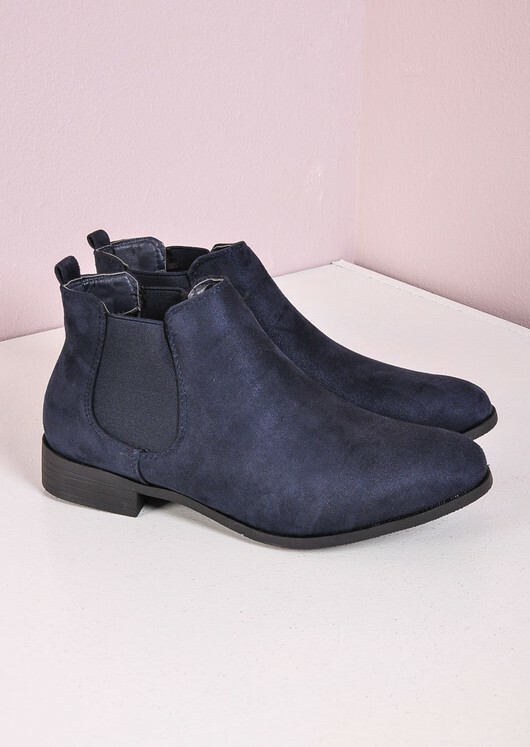 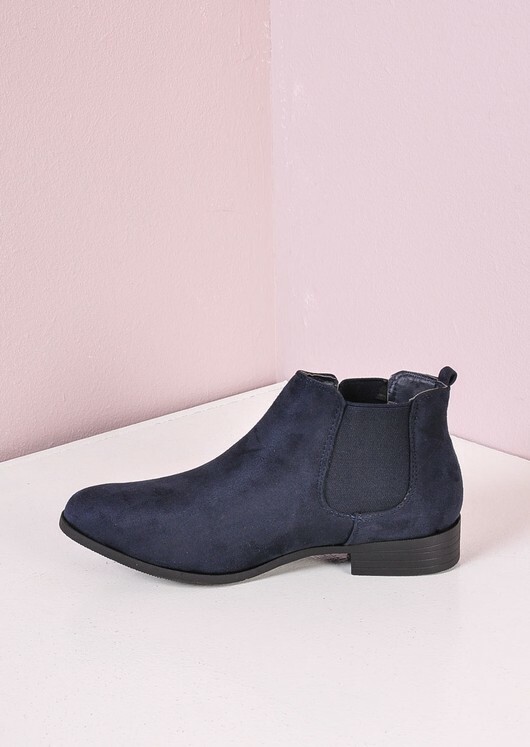 These flat blue Chelsea boots have made a comeback and will be here to stay. 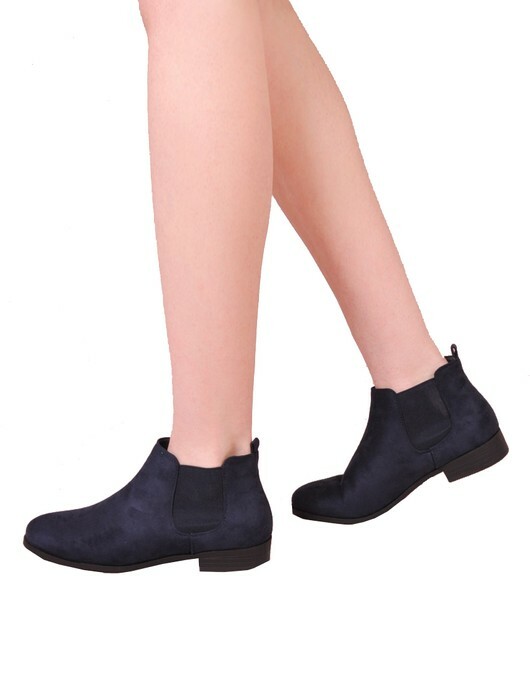 They feature a low heel, side stretch and round toe. 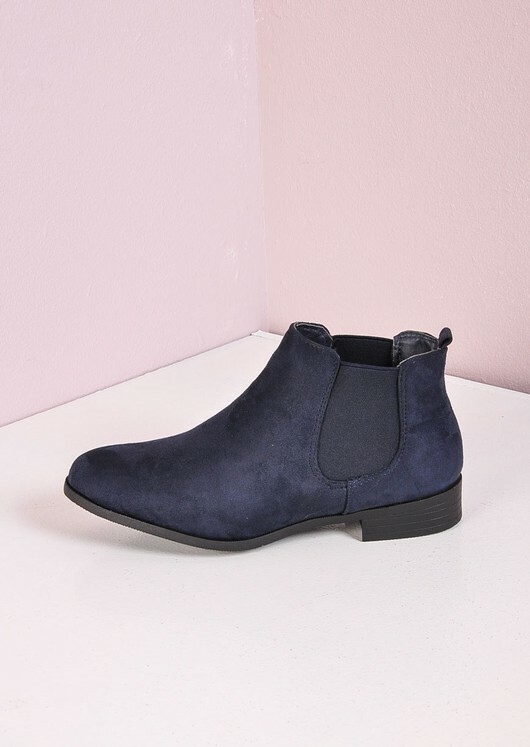 Style with you fav jeans for a chic casual look.